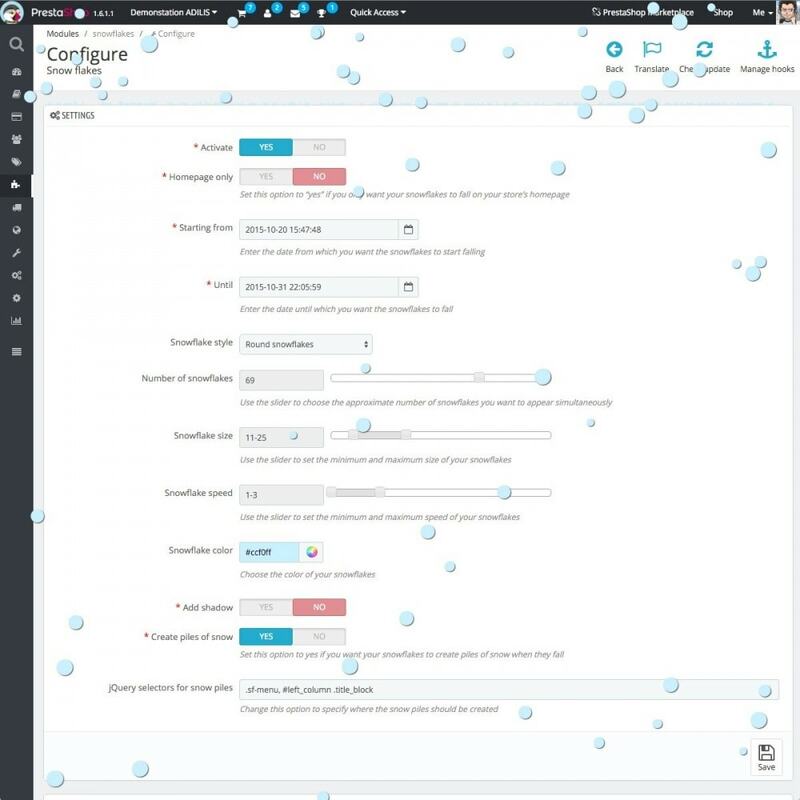 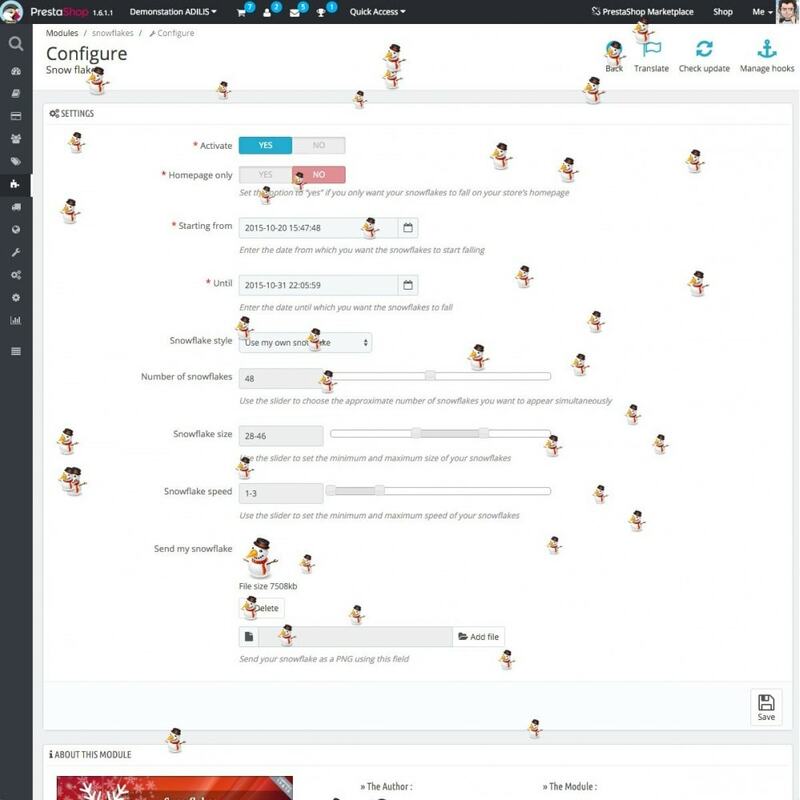 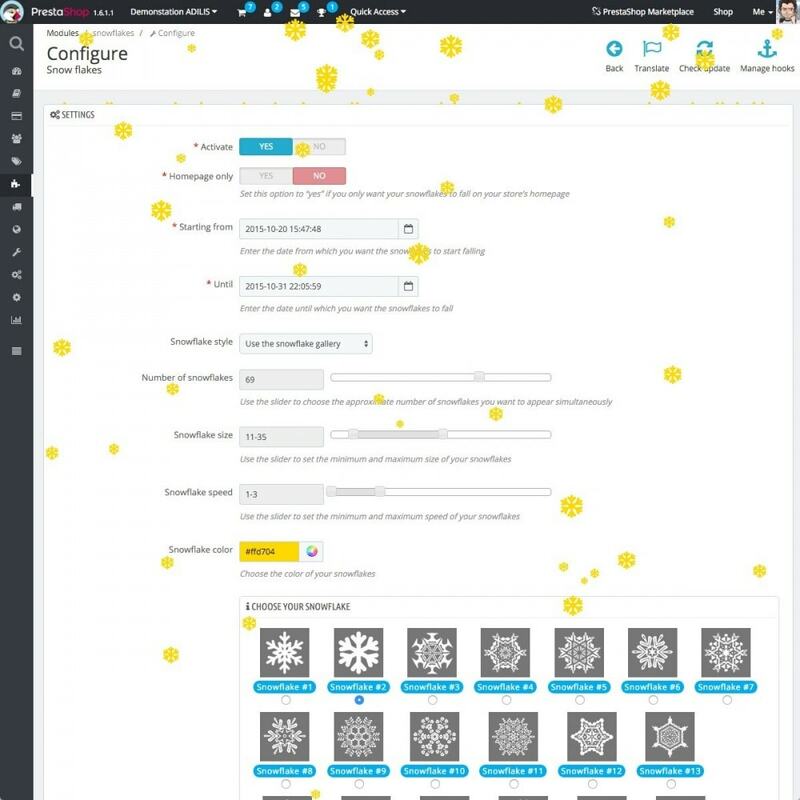 Decorate your store for the Christmas season by making snow fall in the colors of your site. 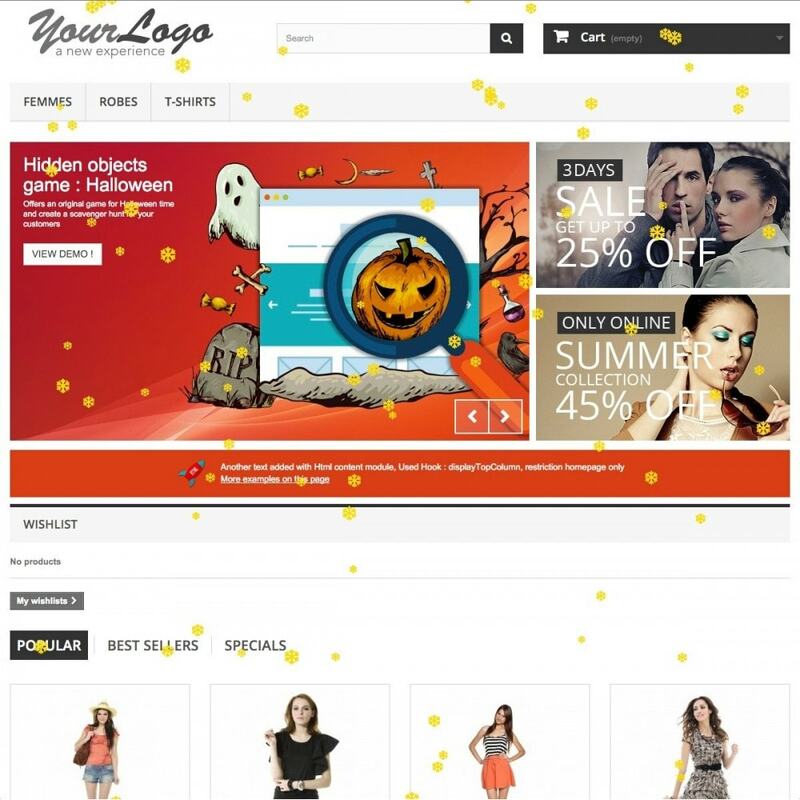 Easily decorate your store for the Christmas season without any technical and graphical knowledge. 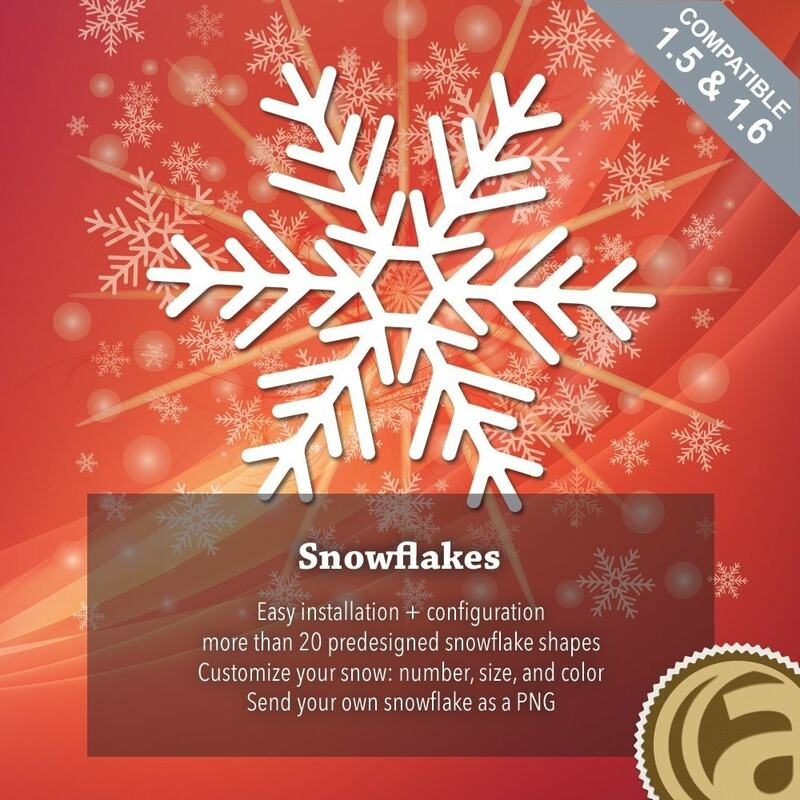 Send your snowflake as a PNG.